When watching home movies during weekends, we always order a box of party size pizza at a famous pizza delivery just for the two of us. But we were wondering if it were really "party size" then how come two persons with a big appetite are able to finish it? Well, here's the answer to our question, Big Guys Pizza recently sent us their 36" pizza and they weren't kidding when they said that "We make 'em Big". When the pizza was being delivered at our condo, the lobby guard asked Mickey "if there is someone celebrating a birthday party today?" Now, this is a truly party size pizza! Mickey had to assist the delivery guy as it can't fit the elevator door, it can only go in by tilting the pizza box diagonally. I was laughing as they were bringing in the pizza, I told the delivery guy that I've never seen a pizza this big. We even have to clear our Christmas table setting temporarily to make way for it. Before digging in, we just had to take a photo of how real and big this is. It's so huge that the diameter is even bigger than that of our table. I also found out that Big Guys Pizza has been making the biggest and most affordable Pizza in the Philippines. 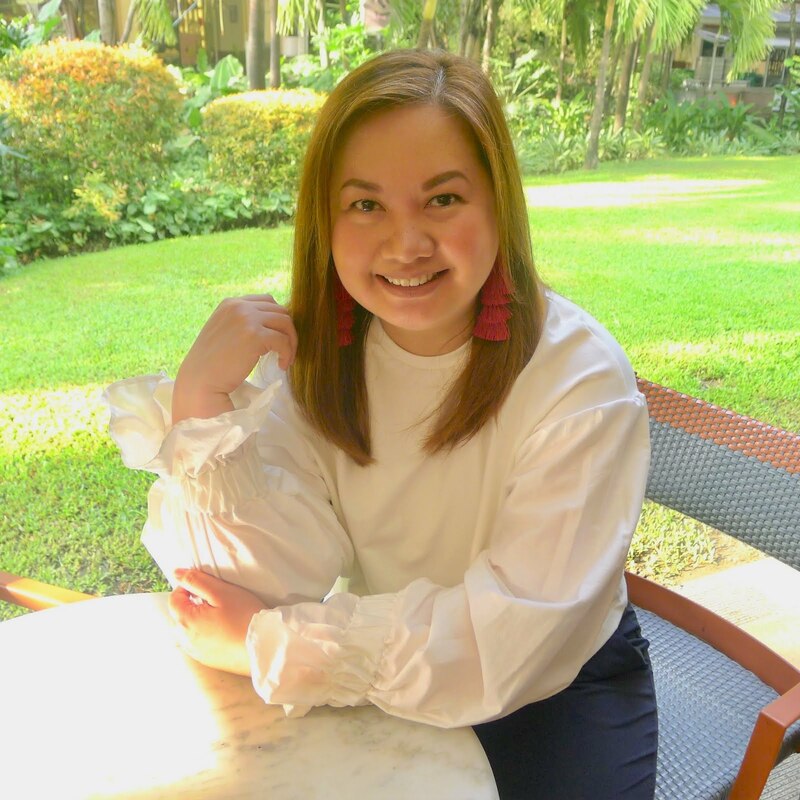 It is perfect for gatherings, celebrations, parties and it is also affordable, costing a little over P1,000, plus they also have pizzas in 10-inch, 15-inch and 20-inch diameters. 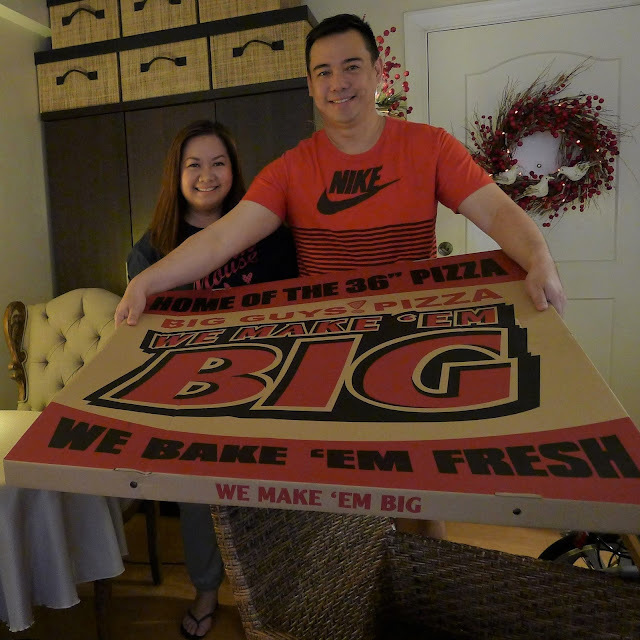 Their signature 36-inch pizza can feed up to 20 people and have at least 70+ slices in it. Definitely True to Party Size. Their best selling flavors include Big Guys Specialty (12 flavors divided into one 36" Pizza), All Meat, Super Supreme, Italian Supreme and Big Gal. For our pizza, we got a "half and half" of Italian Supreme and Super Supreme. 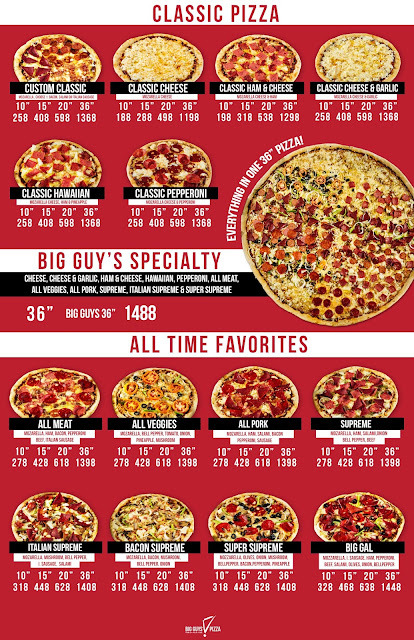 I'm sure that you're curious about Big Guys Pizza. Call for a 36-inch pizza in a branch near you! For updates on Big Guys Pizza, find them on Instagram and on Facebook.